Beaver Dam is part of the Rock River Stormwater Group. They are a city in Dodge County with more than 16,000 residents. Located in Beaver Dam are Beaver Dam Lake and Beaver Dam River. Beaver Dam River flows into the Crawfish River which is a tributary of the Rock River. For more information about Beaver Dam’s storm water, go to http://www.cityofbeaverdam.com/department/index.php?structureid=24. The BDLIA offered Lake Day participants free pontoon rides as well as sponsoring the 4th Annual Cardboard Boat Regatta. This year’s Cardboard Boat Regatta had a sinking boat barely reach the finish line and some of the most unique boat designs seen in the last four events. All teams were given two large sheets of cardboard, two rolls of duct tape, a knife and about two hours to build a boat. Fourteen teams of three entered the contest with a record number of boats racing to the finish. As usual, some designs sunk within yards of the start, but everyone enjoyed being a part of this exciting event. The winning team of Wendy Braun, Kim Zwettler and Landon Olson took home $100 along with the coveted Beaver Paddle Trophy. Thanks to Roger and Rhonda Leland, BDLIA, who were in charge of the event and laid out a most challenging course for the boats. The pontoon rides offered to all attendees were a great success again. Two boats made over 23 runs and provided a scenic ride of Beaver Dam Lake to over 200 people. Attendees at Lake Days signed up for scheduled times with most time slots filled well in advance. It is estimated that over 100 people were not able to secure a time slot. BDLIA is considering other events where we can offer rides on this beautiful community asset. Special thanks to the City of Beaver Dam Community Activities and Services Department for co-sponsoring both of these events. In 2016, it became apparent to the BDLIA Board of Directors that the association did not have the capacity, either structurally or financially, to adequately address the needs of the Lake. The state recognized in 1974 that if Wisconsin lakes were to be able to address their needs, they needed to form a special purpose unit of government, a lake district. A lake district has the power to levy taxes and/or fees and is managed by commissioners elected by lake property owners and is accountable to them. After listening to Eric Olson, the UW Extension lake management specialist, the board appointed a committee to study and develop a plan for the formation of a Beaver Dam Lake District. The committee consists of Jim Metz, Scott Rasmussen, Bill Foley, Evonne Boettge and Bill Boettge. This committee continues its work with the intent of having a report to the board before the end of the year. In an effort to keep the membership informed and updated, Eric Olson (right) was invited to make a presentation at the annual meeting this past August. He outlined the purposes of a lake district, how it is formed and how it operates. Eric also answered questions from the audience. The overall reception of his presentation and the development of a lake district for Beaver Dam Lake were very favorable. If you have questions or want more information please call the BDLIA office at 920-356-1200. As reported in the July newsletter, a new organization has been formed that is an outgrowth of farmers meeting with lake people to discuss land conservation measures. This new group is called the Dodge County Alliance for Healthy Soil – Healthy Water. After a very successful seminar last February, the group has held three events in the past several months. On August 2, a workshop was held for farmers regarding cover crops. Then on August 31, over 100 area farmers participated in pontoon rides on Beaver Dam Lake. At this event the farmers not only enjoyed a ride on the lake, but they got to see and hear what BDLIA is doing to improve water quality and protect lake shore erosion. A field day was held on October 18. In the morning, farmers observed cover crops and the value of maintaining roots in the soil. In the afternoon, BDLIA members had a chance to see firsthand what is being done by area farmers to prevent soil and nutrient runoff into lakes and streams through no till, cover crops and buffer zones. Another major seminar is already being planned for February that will have two segments; an all-day intense program for farmers followed by an evening program to give lake people and other interested citizens an update on farm practices to reduce soil and nutrient run-off. Current research on Beaver Dam Lake shows that about 25% of phosphorus loading is coming from run-off. 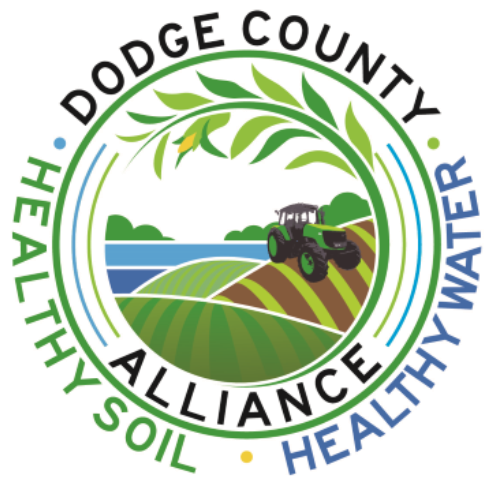 BDLIA will continue our “partnership” with the agriculture community through the Dodge County Alliance for Healthy Soil – Healthy Water, as it is a key strategy for improvement of lake water quality. The UW research project combined with lake monitoring and an inventory of water sources into the lake provided needed information for implementation of programs to improve the lake. We have had a rather busy summer with the lake offering a few surprises for us to consider. Building on the 2015 Lake Management Plan, we have been gathering additional information to better understand various areas of our lake. Over the past spring and summer a number of partner teams have gathered information that will provide the detail required to move forward. This is important data that will now be used to identify implementation practices needed to improve the wildlife habitat and better manage lake nutrient inputs. Grad students from the UW-WRM Nelson Institute for Environmental Studies have focused on Beaver Creek, which represents 20% of the watershed leading into the lake. Their detailed work plan identifies soil and water flow from upland areas into Beaver Creek, which impact the habitat and water quality. The WRM team has collected numerous water, sediment and soil samples from Paradise Marsh flowing then to the lake, which was then analyzed by the Wisconsin Hygiene Laboratory. A second team from the WRM also joined a UW-Civil Engineering Lake Restoration course, which identified the impact of wind-wave energy on shoreline erosion. Understanding this dynamic load is essential to identify the impact of erosion on lake shorelines, which then adversely affects spawning and nesting areas while depositing sediment into the lake. The wealth of information from these efforts will form a solid basis to identify the environmental drivers that affect habitat and water health for the waters and shoreline. On the lake and at major inlets, Bob Roehl and John Moser have collected water samples, which were also analyzed by the Wisconsin Hygiene Laboratory. This information has been added to those from UW-WRM to develop a robust data base that will offer a very good picture for 2017 lake nutrient loading. These additional samples complement the WRM to form a pattern for phosphorus and water parameter changes over the spring through fall seasons. Along the shoreline, Ken Schmidt and Bill Foley have inventoried creeks, culverts and inlets which have an impact on the lake. The physical changes to the land, shoreline and creeks have a critical effect on the lake and watershed. Some areas were immediately seen to have had significant damage with others apparent only when compared to slower change over time. This inventory has provided us with a current view for individual segments of the lake to acknowledge their condition and allow us to prioritize the potential impact. The next phase of the work will rely on Montgomery Associates to help us digest this data and identify improvement practices. Montgomery will be supported by WDNR, UW-Madison and UW-Stevens Point technical expertise to help BDLIA develop a long range plan. This plan is essential for BDLIA to identify incremental improvements that will be implemented year after year. Over the years we have altered the land surrounding the lake and Mother Nature is constantly changing the environment. The good work from this summer has gathered invaluable information which will be used to present a detailed picture for the vital signs of Beaver Dam Lake. Through the identification of incremental opportunities we can move forward to better manage the lake and watershed. The resulting plan is essential to maintain and improve Beaver Dam Lake for the future enjoyment and benefit of our community.